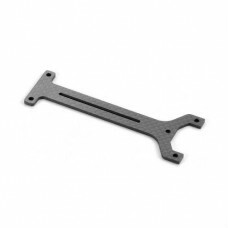 Lightly used Xray XB4 2015 Graphite Rear Upper Deck 2.0mm. CNC-machined from premium 2mm graphite, the rear upper deck reinforces the chassis assembly by connecting the rear bulkheads with the central drive system. For use with SADDLE PACK battery configuration.